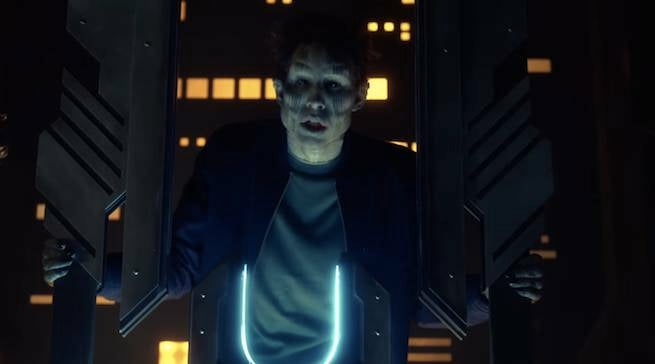 Supergirl: Easter Eggs and DC Comics References In "Truth, Justice And the American Way"
Tonight on Supergirl, we got visitors from a number of different worlds -- including one who, in the comics, wasn't quite so alien. Still, all in all, it was a pretty hefty week for Easter eggs, especially if you consider a couple of big ones that were only implied and not directly stated. One of Superman's long-running mottos is that he fights for "truth, justice and the American way," which is the title of this episode and a line that is -- without the "American way" part -- was called out by James Olsen. Recently, Superman has been featured in a pair of twin storylines called "Truth" and "Justice" -- and as you can see above, during the post-Crisis on Infinite Earths era, an issue called "Truth, Justice and the American Way" was the one where Clark Kent reveals his identity as Superman to Lois Lane. Given that last request from James at the end of the episode -- to reveal Kara's identity as Supergirl to Lucy Lane -- that feels pretty coincidental. Both Italia Ricci, who plays Siobhan Smythe, and this episode's director Lexi Alexander are familiar names to comic fans. Ricci is the real-life wife of Robbie "Firestorm" Amell, and Alexander directed Punisher: War Zone. This isn't Alexander's first rodeo on DC TV, either; earlier this season, she directed an episode of Arrow. Rao is the sun god on Krypton and the planet's major deity. In many versions of the Superman mythology, religion plays a fairly minor role on Krypton, with science being more important, but Rao is still invoked regularly. Recently, Rao served as a villain in an arc on Bryan Hitch's Justice League America. She's not only a pain in the neck as a co-worker; Siobhan is also bound to be big trouble for Supergirl. In fact, it was recently revealed that she'll be the villain in the upcoming episode where Supergirl teams up with The Flash. 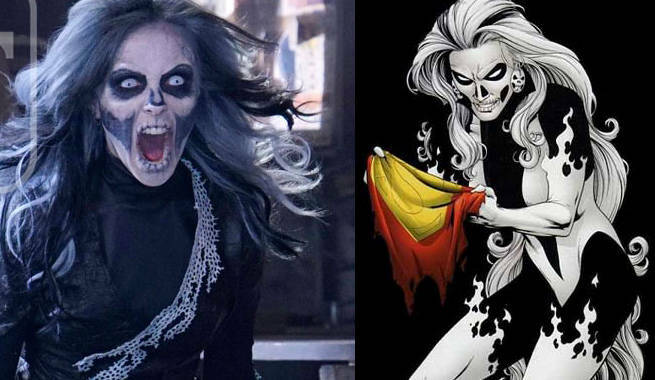 As Silver Banshee, a longtime Superman and Supergirl villain with the power to use powerful psychic and sonic waves that kill anyone whose name she calls out using them. Of course, in the comics her family has ties to the Irish mob, which doesn't seem all that likely here...! While this character is definitely not somebody from the comics as far as we can tell, there are some echoes of a white-faced villain named Vulture, who had shapeshifting powers. In the comics, Carl Draper has been known as both the Master Jailer and Deathtrap. 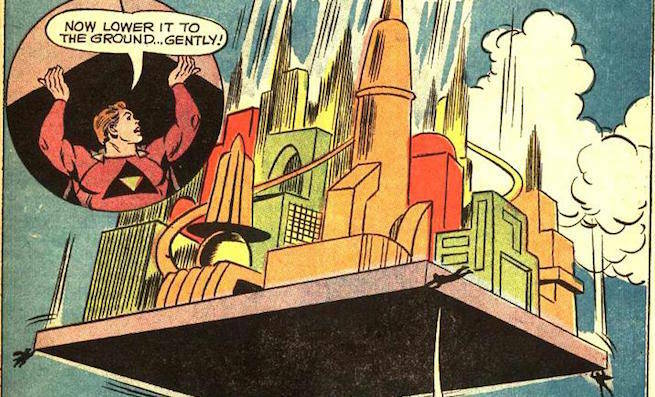 He prides himself on creating elaborate traps that are impossible for his captors to break out of, and frequently tries to create something that even Superman can't escape. 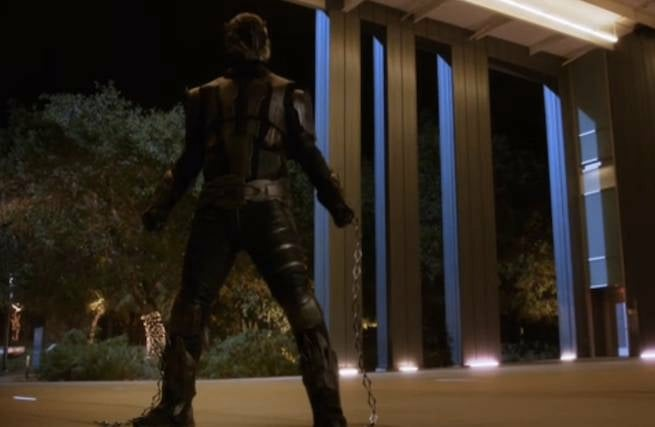 He's a human, born in Smallville, who in the pre-Crisis era created a prison for super-villains and in the post-Crisis era was a guard at S.T.A.R. Labs tasked with creating cells capable of holding villains like The Parasite and Conduit. Ahead of tomorrow's episode of Supergirl, titled "Truth, Justice and the American Way," CBS has -- as they're wont to do -- released a few clips to give fans an idea of the episode's flavor. "Truth, Justice and the American Way" sees Supergirl squaring off against the Master Jailer, who is kidnapping and killing aliens, while in the background, her uncle Non is threatening a blood feud against humanity as a result of Astra's death in "For the Girl Who Has Everything." And, in one of those scenes, we noticed a line of dialogue which might hint at one of DC's most deadly villains/antiheroes making a trip to -- or at least existing in -- the world of Supergirl. 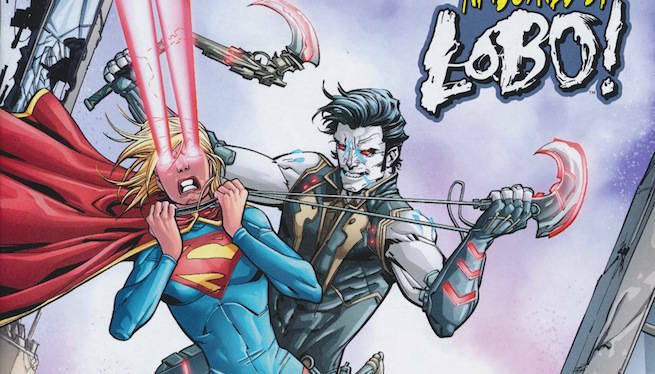 The thinking goes -- and it's hard to argue with -- that the way Alex blanched at the notion of a cosmic bounty hunter and both she and Henshaw refer to "him," it can really only be Lobo they're talking about. In the DC Universe, Lobo originated as a villain for the Omega Men, but in the '90s became a fan-favorite (and best-selling) antihero whose hulking, massive biker look, ultraviolent approach to his bounty hunting, and colorful catchphrases ("Bite me, fanboy") became his calling cards. For the New 52, the hulking, scuzzy biker has been toned down to look a little more white collar, as seen above. It's hard to picture Warner Bros. wanting to market that version to outside media, but it's there he's had the most to do with Supergirl. Given the fact that this episode came so close on the heels of the announcement of the Supergirl/The Flash crossover, there's some speculation she's talking about Central City and The Flash when she says "I thought masks were only big in that other city." Me? I think she's talking about Gotham. In the comics, it's White Dwarf Star alloy that gives Ray Palmer his abilities. So one assumes the source of Draper's weapons might be something of a polar opposite to that. 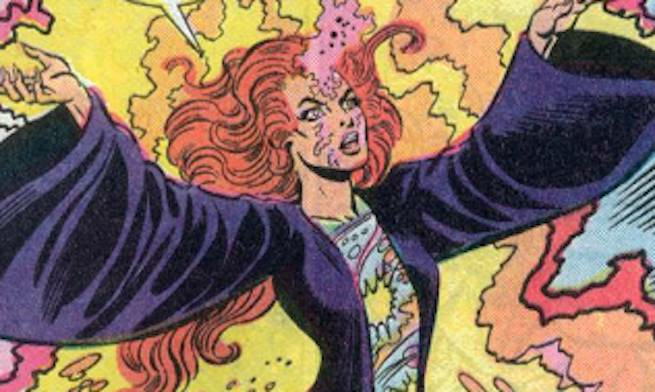 On the other hand, there is a Supergirl villain named Blackstarr...! 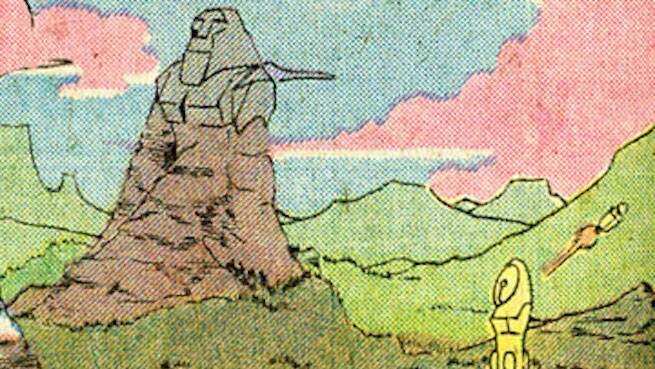 A picturesque world, Starhaven is in the comics the home of Dawnstar, a member of the Legion of Super-Heroes. Of course, there, it was founded by 23rd Century emigrants from Earth. The world's natives, like Dawnstar, are born with a pair of large feathered wings that allow them to fly at supersonic speeds, faster than the speed of light. Here, Draper is identified as being originally from Trombus. According to the DC Wiki, Trombus is a world that appeared in a single pre-Crisis on Infinite Earths Superboy story. "A Pre-Crisis heavy gravity world of the Earth-One Universe exploded and a family was rocketed to safety. The rocket landed on Trombus where the family gained super-powers under the red sun and fought crime as the Hyper-Family." "Here comes the sun" is what Alex says when she blasts out the red sun generator to give Supergirl her powers back. 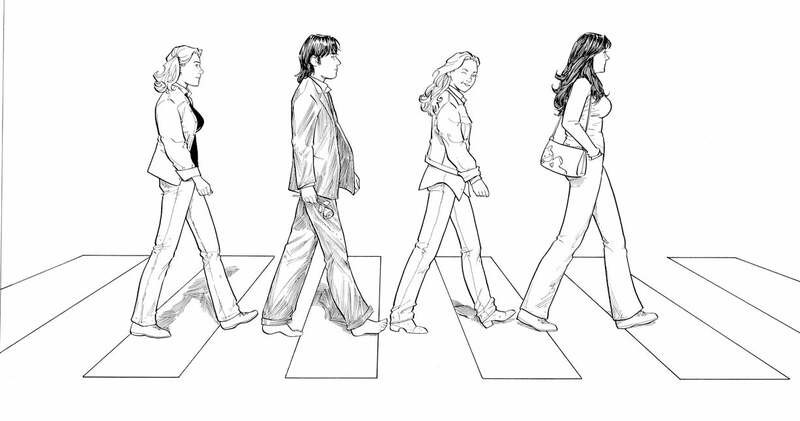 It's also the name of a song off of The Beatles' Abbey Road. Who Died in ‘Game of Thrones’ This Week?